By 1977, Chicago was growing itself a serious slate of niche rock and roll radio stations. For the era's hipster set, DJ-run WXRT (my homeboy vote for the greatest radio station of all-time) had just entered its second year of 24-hour-a-day programming. Just five numbers up the FM dial, WLUP was winning over the hard rock set, led by their Disco-hating bad-boy superstar Steve Dahl. But despite the expanding presence of those FM players and others, the big boy in town was still Chicago's mighty AM powerhouse WLS. And as far as the nation's mainstream AM rock stations went, one could do a lot worse. WLS was as egalitarian as they come, playing music from just about every genre and rock decade. Occasionally, they would champion new artists other radio stations didn't have the guts to take a flyer on. And they weren't complete stuffed shirts - they played a ton of cool stuff. The only problem with WLS, if one considers it a problem, is there was zero quality control! As long as a song passed FCC regs and was popular with a portion of their regular audience - no matter how bad, how cheesy, how saccharine - it played... and it played over and over and over and over and over and over and over and over and over again! This would lead to some hysterical playlist juxtapositions: Sympathy For The Devil would lead into Muskrat Love: Sky Rockets In Flight would precede Train In Vain, Superstition would play into Slow Ride would play into Puppy Love would play into Barracuda would play into Copacabana. You get the idea. But that said, there was still a definite programming strategy at work amid the chaos, with the playlists carefully curated to the shifting demographic makeup of the station's listening audience at different times of the day. And it's along those time-of-day programing strategies that Nancy and I have organized the final three, purely nostalgia-driven mixes of our 1977 collection. Starting with the mornings. And make no mistake, with the husbands off to work and the kids off to school, WLS mornings were for the moms! The unchallenging, top-10-driven soundtrack to their quiet hours as they set about their household chores, ran their errands, got their kids to wherever those ragamuffins needed to be, and maybe, just maybe, took a rare moment for themselves. Easy listening rock, pop, cross-over country and especially a never-ending barrage of the era's earnest, over-orchestrated, autumnal ballads were the order of those early hours, and presiding over this dreck was the most unlikely of MCs - WLS's curmudgeonly, disinterested elder statesmen Larry Lujack. Good 'Ol Uncle Lar! I once heard him asked in an interview if he actually liked the stuff he had to play, and after a long, long pause, he just diplomatically stated "I like some of it." Well, that's exactly how I feel about the music set forth here in the twelfth volume of our 1977 collection and the first disk in our three part The Be(wor)st Of WLS series - I like some of it. But I can't forget any of it. So no pretense to quality being the organizing principle on this epic, double-length mix. The songs included here were not selected because they were great... or brilliant... or inspired (though some definitely are), but simply because in 1977, just like the Kardashians in our era, they were very, very well-known. So brace yourselves. You may not be fond of all these songs, but there's no escaping your memories of them! I give you... Lujack Mornings. 1. 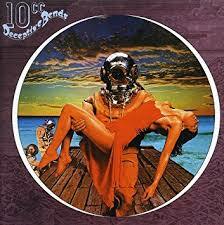 The Things We Do For Love - 10cc: An intriguing British quartet composed of four multi-instrumentalists who could all also produce, write, and sing, the band's early albums were an eclectic jumble as they shifted between the pop stylings of Eric Stewart and Graham Goulding and the artier sensibilities of Kevin Godley and Lol Creme. But when Godley and Creme left in '76 to form their own band, Stewart and Goulding were freed to focus exclusively on their pop ambitions for the band's fifth studio album Deceptive Bends, which produced the #44 single of 1977 included here. 2. 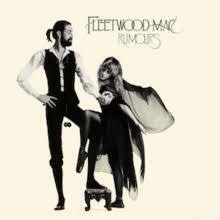 Dreams - Fleetwood Mac: Though the emphasis here is on guilty pleasure hits, there are also a number of great-by-any-standard tunes on this mix that just happened to be tremendously popular in 1977, starting with this track here, which closed 1977 as its #39 best-selling single. That's saying something when you subtract the millions upon millions who bought Rumours wholesale in '77 as well. 3. Short People - Randy Newman: He should have known better. Though his heart was usually in the right place, Randy Newman had flirted with a public backlash for years, regularly turning his acerbic wit towards to subjects of the greatest cultural sensitivity and addressing them with irony and often from the perspective of third person antiheroes (check out the Sail Away's title track or Political Science). But it all caught up with him in '77's when his anti-prejudice screed Short People set of a firestorm from people too incensed by the song's opening verse to wait for the chorus where the song's real intent is made clear. 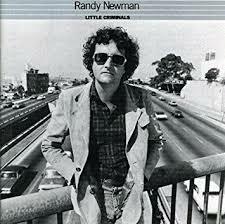 As time passed, even Newman came to hate the song, feeling in retrospect it was just a gimmick, but despite all that, the Side 1 opener for Newman's fifth full-length Little Criminals was still a huge hit, doing the bigger part of its chart damage in '78, where it ended up as that year's #41 song. 4. 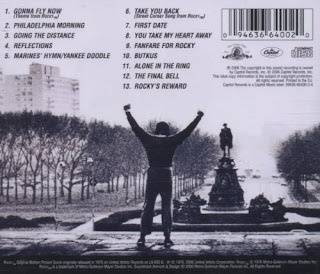 Gonna Fly Now: Theme From "Rocky" - Bill Conti: I don't care how cheesy this one is. It still makes me want to jump up and shout "Adriaaaaaaan," at the top of my lungs! Also 1977's #21 single. 5. 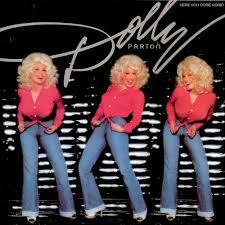 Here You Come Again - Dolly Parton: Believe it or not the title track to Parton's twentieth album Here You Come Again was her very first crossover hit. It was also, ironically (or maybe not) just one of a small handful of songs she had recorded over the years that she did not write herself. 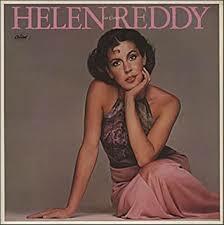 It would linger on the charts deep into 1978, where it finished as that year's #60 single. 6. Whatcha Gonna Do? 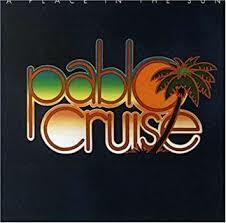 - Pablo Cruise: Okay, I have to admit that this track from Pablo Cruise's '77 release, third album A Place In The Sun, is a serious guilty pleasure for me. 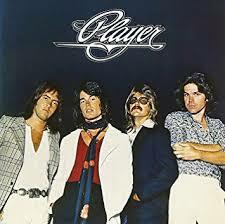 It would go on to claim 1977's #16 spot for the San Francisco-based band. 7. 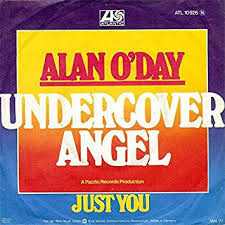 Undercover Angel - Alan O'Day: True story here to clarify just how omnipresent this song was in 1977. In junior high I had my AM radio plugged into my bedroom light switch, so every time I entered my bedroom, WLS immediately popped on. Over the course of one July '77 day, I entered my room eight times, and every time I entered, this song - Alan O'Days godawful one-hit wonder Undercover Angel, the #9 best-selling song of 1977 - is the first thing I heard. Oh, the horror, the horror! 8. 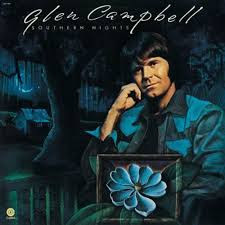 Southern Nights - Glen Campbell: One of 1977's biggest cross-over country hits, Glen Campbell's cover of the 1975 Allen Toussaint song ended up #22 on the '77 year end charts. 9. Ebony Eyes - Bob Welch: Luckily, as Rumours was dominating the album charts like no album ever had prior, ex-Fleetwood Mac-er Bob Welch was too busy having the best year of his own career to fall into a Pete Best pity spiral. His '77 album French Kiss would deliver his two biggest hits, the lesser of which, Ebony Eyes, did most of its work in '78, ending up as that year's #96 best-selling single. 10. 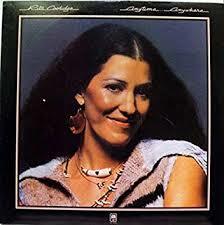 We're All Alone - Rita Coolidge: I can take or leave Rita Coolidge's treacly '77 Anytime...Anywhere cover of Boz Scagg's Silk Degrees' song We're All Alone that was one of many interpretive cover hits she had in the late 70s (and which was the #98 song of 1978 after its late '77 release), but OMG, what a crazy awesome life this woman has had. A talented singer and striking woman of Native American descent, Coolidge was one of the industry's top back-up singers in the late 60s/early 70s after being discovered by Delany and Bonnie and becoming part of their touring ensemble. She recorded with virtually everyone of note from the era (including Eric Clapton, Joe Cocker, Jimi Hendrix, Dave Mason, Bob Dylan, Leon Russell), but her list of paramours is even more legendary. Of her more notable liaisons, she's oft cited, fair or not, as the main reason for Crosby, Stills, Nash and Young's first break-up after leaving Stills for Nash. And not soon after that all ended, she met Kris Kristofferson on a flight to Tennessee, and he was so instantly smitten he got off with her at her stop rather than continue on to his intended destination to ponder names for their first children. The two soon married, recording several albums together before the marriage went south and her solo career took off. Oh, and one last coda (pun intended), she's also claims to be the actual uncredited composer of the iconic back-half piano melody to Derek And The Domino's Layla. 11. Heard It In A Love Song - The Marshall Tucker Band: Though now universely considered one of Southern Rock's all-time best acts, South Carolina's Marshall Tucker Band never had huge success on the mainstream charts, and this '77 track from their sixth studio effort Carolina Dreams would prove to be their biggest hit, ending up ranked as the #57 song of that year. 12. Evergreen: Theme From "A Star Is Born" - Barbara Streisand: Bab's Oscar-and-Grammy-winning theme song to her 1976 movie, not released as a single until January 1977, lands the distinction of being the top '77 charter featured on this mix. It ended 1977 as the year's fourth best selling single (Rod Stewart's 1976 release Tonight's The Night, Andy Gibbs's I Want To Be Your Everything, and The Emotion's Best Of My Love claimed 1977's top three spots). 13. 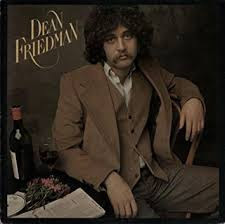 Ariel - Dean Friedman: It's fitting that on this WLS mix, we feature a hit that WLS made. The radio station jump all over this 50s-flavored track about a free-spirited vegetarian Jewish girl from Friedman's eponymous debut long before other radio stations in the States caught on. And though it was Friedman's only North American hit (he'd have more overseas), thanks to WLS's early support, Ariel ended 1977 as the year's #69 song. 14. You're My World - Helen Reddy: Though her previous album had certified gold, Reddy's most recent single's had not charted, so husband/manager Jeff Wald pulled out all the stops to make sure her ninth studio release, Ear Candy, halted the downward trend, auditioning hundreds of producers and nearly a thousand new songs for his better half. But in the end, it was an updated English version of the oft-recorded Italian standard You're My World that provided the upward spike Wald was hoping for, landing Reddy in the #56 spot on '77's year end charts. 15. 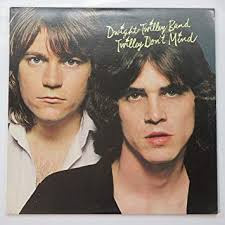 Looking For The Magic- Dwight Twilley Band: I'll be the first to admit that this song, the most popular song of The Dwight Twilley Band's career from their second and final album Twilley Don't Mind, doesn't belong on this mix. It wasn't a hit, and they were never a mainstream oriented act. The problem is Dwight Twilley really didn't fit with any other band of their era, stylistically caught somewhere between their brilliant, equally ignored Memphis peers Big Star, and the alternative rock/college rock movement that was still a half decade away but which they seem to be very much anticipating here. 16. 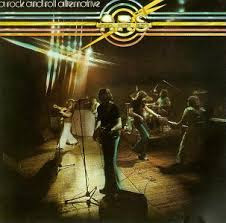 So Into You - Atlanta Rhythm Section: Another big guilty pleasure for me here in Southern Rockers ARS's biggest hit ever (the #38 selling single of '77), from their best-selling album ever, A Rock And Roll Alternative. 17. You Light Up My Life - Debby Boone: Ugh! Here we go. 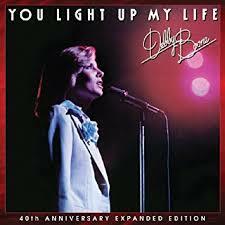 Holding down the top spot on the charts for ten straight weeks in 1977 (a record at the time) Boone's cover of songwriter Joseph Brooks' You Light Up My Life (the original version by actress Kasey Cisyk had been released just a few months earlier as part of the You Light Up My Life movie soundtrack) would put up even bigger numbers in 1978, where it ended that year as it's #3 single. 18. 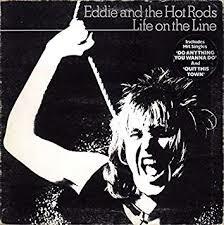 Do Anything You Wanna Do - Eddie & The Hot Rods: The last track cut from our earlier Bar Band mix, Do Anything You Wanna Do from the 1977 release Life On The Line was a top-ten hit in the UK for these British pub rockers, so I felt it was fair game to include here. 19. 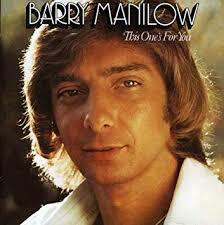 Looks Like We Made It - Barry Manilow: Not to put a damper on things, but this so cheesy Manilow song (is there any other kind?) from This One's For You, which ended up the #37 single of '77, is one of the most consistently misinterpreted songs of its era. It is not, as most people assume, an inspiring reflection on a couple who have made it through tough times together, but rather, a much more wistful reflection by a one-time couple who have finally regained their individual footings after splitting up. 20. Second Hand News - Fleetwood Mac: Though not a first-run mega-hit like Rumours' big four of Go Your Own Way, Don't Stop, You Make Loving Fun, and Dreams, Second Hand News has nonetheless endured as a radio staple for decades, and remains a personal favorite. 21. Right Time Of The Night - Jennifer Warnes: Convoluted history on this Peter McCann song, which McCann originally recorded for his solo debut with Warnes contributing vocals to one verse. 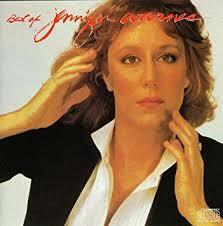 But after both artists fell under the control of impresario Clive Davis, who felt Warnes soon-to-be-released self-titled debut still needed a hit single, this song was given to Warnes to rerecord, and her version became '77's #34 song. But don't cry for McCann. He would go on to get the better end of the deal, as the only song of his Davis had rejected in the same six-song bulk sale that gave Davis control of Right Time was Do You Wanna Make Love, which went on to become an even bigger hit, and is featured a few spots later on this mix. And the B-Side to Make Love, that original recording of Right Time Of The Night which only features Warnes on the second verse. 22. 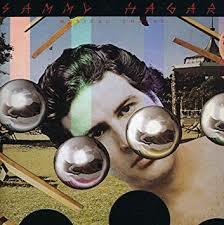 You Make Me Crazy - Sammy Hagar: This lead single from Hagar's third solo LP Musical Chairs is so out of character with what we would later associate with the future Van Halen frontman that I had to include it. 23. 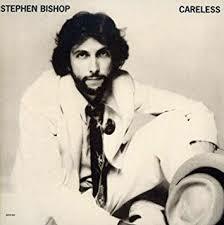 On And On - Stephen Bishop: Though he had a few other hits through the years and was beloved by some prominent musicians of his day, most notably Eric Clapton, San Diegan Bishop never charted better than with his earnest '77 soft rocker On and On from his album Careless, which ended 1977 as the year's number #30 song after lasting on the charts for a full seven months. 24. 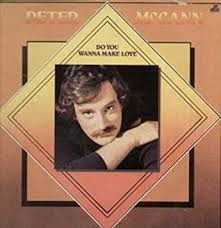 Do You Wanna Make Love - Peter McCann: So yeah, this is one of the songs on this mix that gets me chuckling the most (in a not good way), but to Peter McCann's credit, he actually had a hell of a mainstream career, penning tunes for dozens upon dozens of prominent mainstream, Motown, and country artists in addition to Jennifer Warnes, whom we jus heard from. In fact, it was the success of Warnes' version of Right Time that gave McCann the clout to strike out as a performer on his own, and with this song from his self-titled debut, he ended up with the one hit of his solo career and the #17 single of 1977. 25. 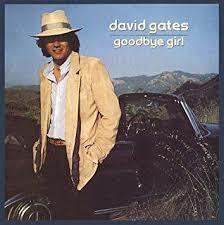 Goodbye Girl - David Gates: Released as a single late in 1977, the theme song to the Oscar Nominated '77 film of the same name became a big hit for the lead singer of Bread in '1978, ending that year in the #47 spot. 26. 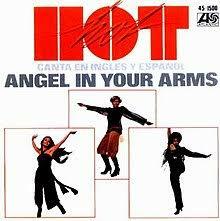 Angel In Your Arms - Hot: You know you're a one-hit wonder when Spotify only carries one song from your career, and yes, 1977's #5 song from Hot's self-titled debut would prove to be the only hit in the career of this LA-based female vocal trio, who had hoped their unique multi-racial makeup of one white, one black and one Hispanic woman would draw more attention to the band than it did. 27. This Time I'm In It For Love - Player: Unfortunately, Player's biggest hit of 1977, Baby Come Back, is the one song I wanted for this mix that isn't presently available on Spotify. Luckily, it wasn't the only hit from the LA band's eponymous debut. Following Baby's chart success, This Time I'm In It For Love was rushed out as a second single and caught on in early '78, ending that year in the #58 position on the year-end Billboard Hot 100. 28. 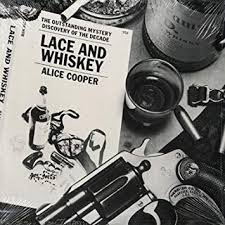 You And Me - Alice Cooper: Attempting to sober up after years of hard living, Cooper shed the nightmare theatrics in '77 for his tenth studio release Lace And Whiskey and turned heads (human, not bat) with the album's lead single, the shockingly soft soft-rock ballad You And Me, which ended up as the #48 song of the year. The song would be further immortalized the following year when Stewart sang a duet version with Miss Piggy on The Muppet Show, but it was also in many ways his swan song, as he wouldn't land another song on the charts until his disco-gimmick single Poison creaked into the rankings in 1989. 29. 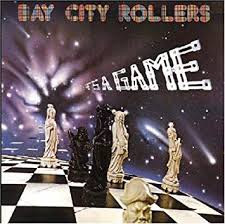 You Made Me Believe In Magic - Bay City Rollers: Though they would continue to play for decades, Edinburgh's Bay City Rollers (aka the first "Biggest Thing Since The Beatles") would never score another top ten US hit after You Made Me Believe In Magic from their fifth album of originals It's A Game. The Tartan Teen Sensation's track would end up capturing the #76 spot in the '77 year-end charts. 30. 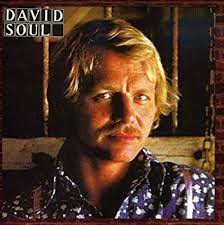 Don't Give Up On Us - David Soul: The first of multiple cash-ins from blond-haired blue-eyed TV celebs to make this mix, Hutch won the musical battle of the network dreamboats with Don't Give Up On Us, which ended the year as 1977's #29 song, sixteens spots ahead of his main Hardy Boy competitor. 31. 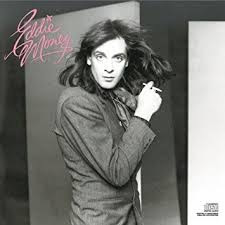 Baby Hold On - Eddie Money: The biggest hit from Eddie Money's self-titled '77 debut (which also included Two Tickets To Paradise), Baby Hold On was released as a single in the last weeks of December and then went on to gain a lot of chart traction in '78, finishing that year in the #67 position on Billboard's year-end Hot 100. 32. 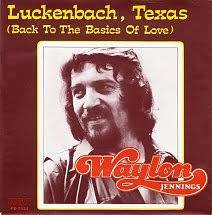 Luckenbach, Texas (Back To The Basics Of Love) - Waylon Jennings: Jennings has stated he always hated this anti-materialism country ditty, even when he was recording it, but it showed nothing but love to him, spending five weeks in 1977 atop the country charts. 33. 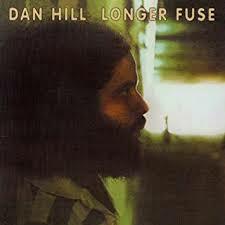 Sometimes When We Touch - Dan Hill: One of the more prominent singer-songwriters to emerge from Canada's coffeehouse scene in the mid-70s, Toronto-native Hill would only land two big hits in the States, but he enjoyed tons of chart success in his native land and is now considered a bit of an enduring institution there. But yeah, Sometimes When We Touch was his biggest US hit, initially released on his 1977 album Longer Fuse, then catching fire on the charts in '78, where it finished that year as its #33 song. 34. 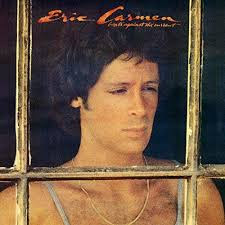 She Did It - Eric Carmen: Considered by some "the best Beach Boy's song Brian Wilson never wrote," She Did It from Carmen's '77 release Boats Against The Current was a surprisingly upbeat hit after he had so much success the previous year with downer ballads Never Gonna Fall In Love Again and All By Myself. 35. 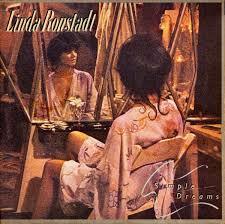 Blue Bayou - Linda Ronstadt: Ronstadt's eighth studio release, '77's Simple Dreams, was one of the most successful of her career, and as some Fleetwood Mac fanatic's know, the album that finally knocked Rumours out of its 29 week run as the best selling album in the states. The album also delivered two of Ronstadt best known songs, It's So Easy, already profiled on Vol 2 - Nancy's Favorites, and this Roy Orbison cover here, which became arguably Rondstadt's signature song, a regular set closer, and also, the #61 single of 1978. 36. That I Remember - Dwight Twilley Band: One more from the alt-rock anticipating Twilley Don't Mind, which while not the best album of '77, is definitely one of the year's most fascinating, in the way you can hear the path being laid for the likes of The Replacements, Marshall Crenshaw, and REM. Adore the jangly chorus on this one. 37. 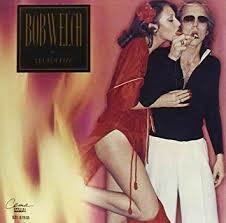 Sentimental Lady - Bob Welch: Welch's biggest hit from his 1977 solo debut French Kiss was a reworking of his 1972 song that originally appeared in not too different form on Fleetwood Mac's Bare Trees. 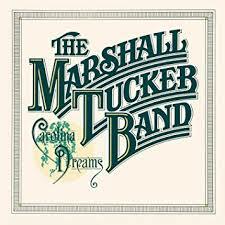 The new version would go on to become the defining hit of Welch's career, and ended up the #78 song of 1978. 38. 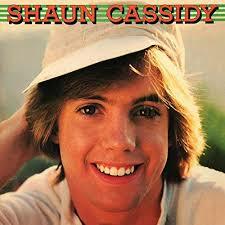 Da Doo Ron Ron - Shaun Cassidy: And here's the biggest of Tiger Beat cover boy Shaun Cassidy's '77 hits (yes he had more than one that year) with his cover of the Crystal's 1963 classic. Cassidy's version would end '77 as the year's #45 song. 39. 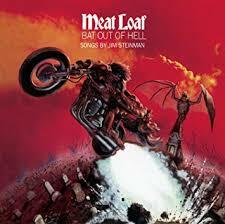 Two Out Of Three Ain't Bad - Meat Loaf: The second of three songs we'll be featuring from Meat Loaf's '77 camp classic Bat Out Of Hell (each on different mixes), Two Out Of Three Ain't Bad is far from Bat's best song, but it was initially the album's most popular in terms of airplay, gaining steam at the end of '77 and then surging in '78, finishing '78 in the #30 spot. 40. 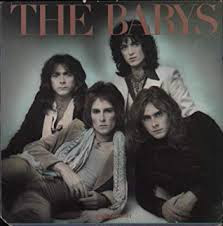 Isn't It Time - The Babys: Not gonna lie, this minor hit from The Baby's '77 release Broken Heart is my second favorite guilty pleasure on this entire mix, ranking only behind our Lujack Mornings' closing track. 41. 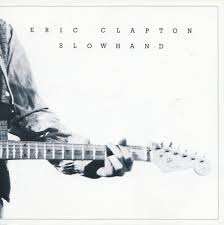 Wonderful Tonight - Eric Clapton: No way I could leave this Slowhand number off, which while nearly not as big of a charter as most of the songs on this mix (never getting past #16 on the weekly charts), has gone on to become one the most popular (and cliched) wedding reception songs of all time. Ironically, for the woman it was originally written for (Pattie Boyd of course), it became nothing but a source of pain for several years after its release, a constant and unavoidable reminder of what was lost after her relationship with Clapton collapsed. 42. Don't Stop - Fleetwood Mac: The second highest charter of Rumours' four top ten singles, Christine McVie's move-on-from-divorce anthem hasn't aged quite as well as some of the the album's other track - due in large part to its unrelenting overexposure in commercials, movie soundtracks, and political rallies - but it was huge in '77, coming in as the #52 song of the year, and on the end of this mix, after all those wintry, saccharine ballads, provides some much needed bounce. 43. 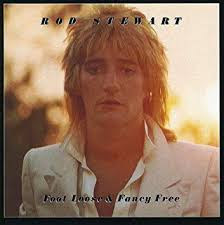 You're In My Heart (The Final Acclaim) - Rod Stewart: Initially released on Stewart's 1977 album Foot Loose And Fancy Free, You're In My Heart didn't have nearly as big a chart impact in '77 as did Stewart's 1976 song Tonight's The Night, which was '77's top selling single, but Heart (which in a clever misdirect is really an expression of devotion to Stewart's favorite professional soccer teams, not a woman) did catch on big time in in 1978, ending that year as the #37 single. 44. 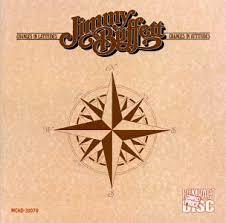 Margaritaville - Jimmy Buffet: Though it only ended 1977 as the #14 song on Billboard's year-end Hot 100, I can't think of another song that has ever so completely and singlehandedly defined a recording artist's career as Margaritaville from Buffet's seventh full-length Changes In Latitudes, Changes in Attitudes. 45. 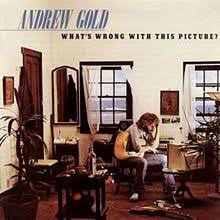 Lonely Boy - Andrew Gold: My favorite guilty pleasure from 1977 closes things out, taken from Andrew Gold's release of that year What's Wrong With This Picture. And it should be noted that Gold, while he may be viewed as a one-hit wonder here in the States, was anything but in England. He had several other hits there in the late seventies, and then went on to a successful half-decade career with Wax, a band he co-formed, in a logical bookend for this mix, with 10CC's Graham Goulding.